Hi again. It’s good to be back again. Today, I would like to show you this cute little bag that I altered using those cute tiny Pom Pom in the Carousel collection! When I was browsing the small embellishments product, I really love those cute pom poms and thought they should look adorable on the linen bag that I have. First, I used the puffy stickers and adhered in the middle of the bag. 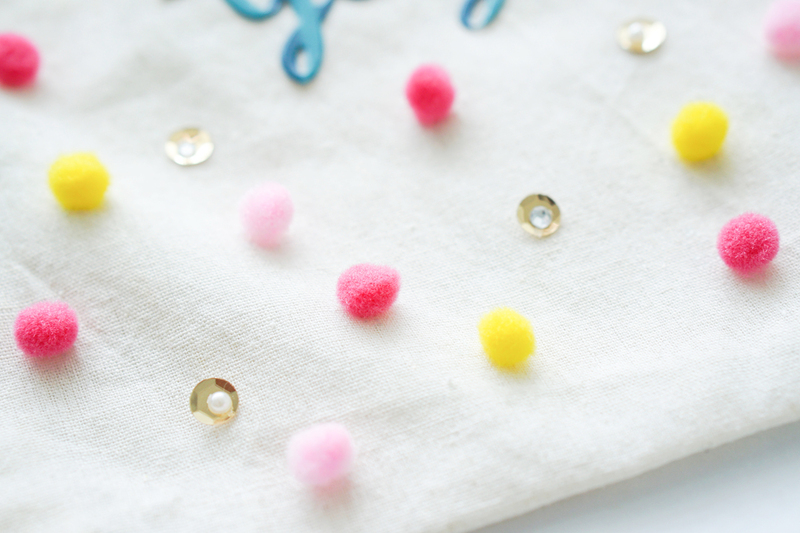 Next, I adhered & arranged those Pom poms randomly as I worked my way from the top to the bottom. I also added some of the gold sequins for the extra texture. They are perfect together! 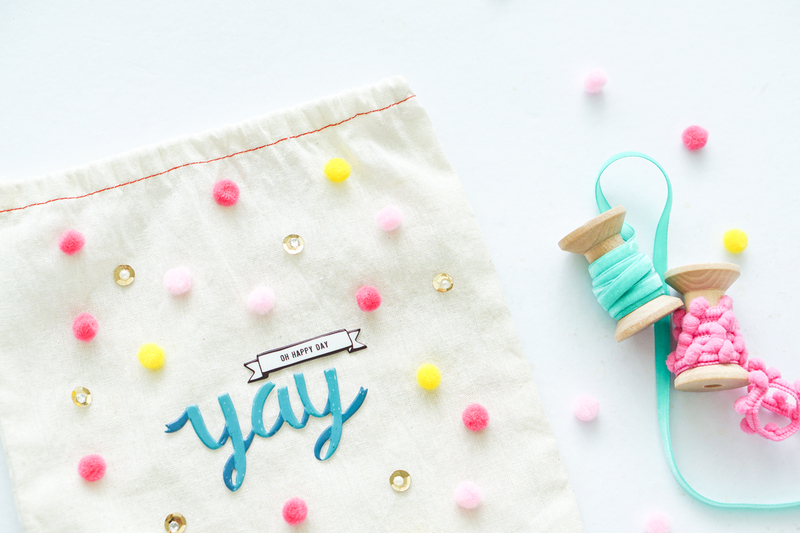 This bag is perfect as gift bag. It is also really cool for little kids to store their favourite toys when they travel in car rides. 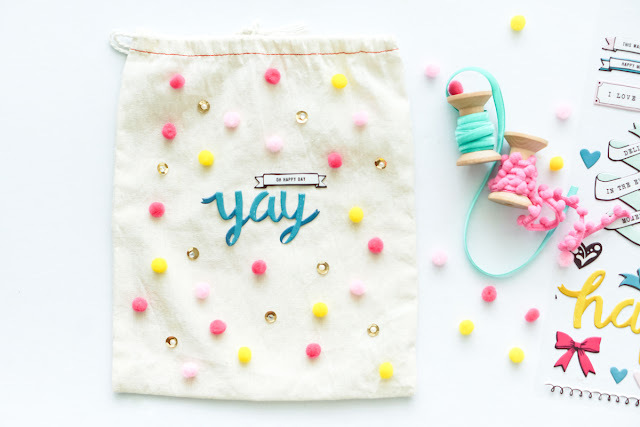 There are so many fun ways to use this cute bag! Thanks again for letting me share today!